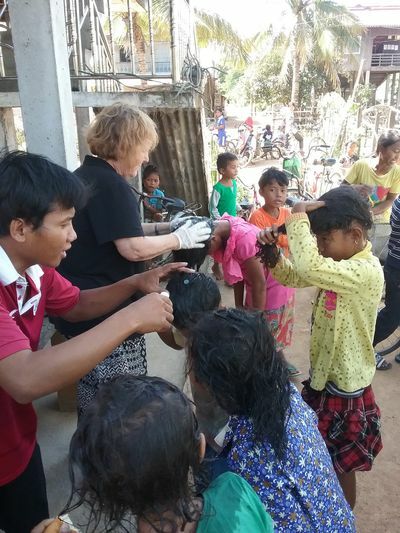 The Family Outreach Support Program reaches outlying rural villages. Due to the country’s recent history, education was disrupted over several generations , resulting in a lack of non- rural employment and opportunities for whole villages. How can you obtain a well paying job when you cant read or write? While this situation is now slowly changing, many families are unable to provide basic healthcare for their children due to financial constraints. Thomas House currently provides an outreach Clinic to two villages in rural areas. The Clinic provides health screening to children under the age of 16 years old as well as treatment of minor illnesses. Referrals to appropriate providers are made and paid for by Thomas House.